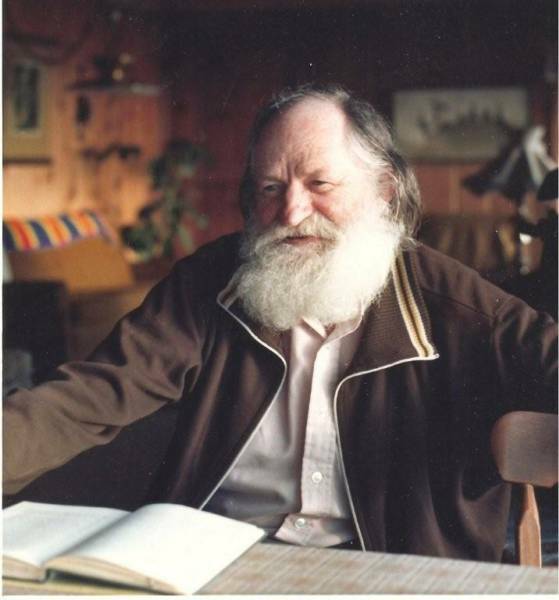 Born in LaGrande, Oregon, Raymond Dallas 'Dal' McKennon practiced making animal voices from an early age while living on a farm. In high school, he had an opportunity to be a DJ on a local radio station. He surprised sponsors by performing many character voices. He joined the Army Signal Corp and was stationed in Alaska. It was then he developed a deep love for Alaska and its beauty, one of the places he was able to return to later in life. He met and married his beloved Betty Warner in Portland, Oregon in 1942, and through the years they eventually welcomed 8 children into their family. While in Portland, Dallas created a business, recording and 'cutting' records on acetate, and KGW, a Portland station, hired him to be Mr. Buttons, the host of a radio program that welcomed children to witness a live broadcast and be in the audience. In the early 1950's Dal's first movie acting opportunity came with the movie Bend Of The River. While working on the set, he developed a friendship with Jimmy Stewart, who invited Dal to come to L.A. to work on The Six Shooter, Stewart's weekly western radio program. He hitched a ride to California, later relocating the family. In Hollywood, Dallas took the job of Captain Jet, the host of a local kids 'space' show. It was one of the most popular children's program of the time. That helped him to start working in the voice-over field. For Walter Lanz, Dal was asked to primarily be Buzz Buzzard in Woody Woodpecker cartoons, later he voiced Inspector Willoughby, and a variety of other character voices as needed. Courageous Cat (and Minute Mouse), a 1960 cartoon television show, used Dal's voices for the Bob Kane characters. 1960 also was the year for Dallas to bring voice to Q.T. Hush, a private detective created by Ken Southward. 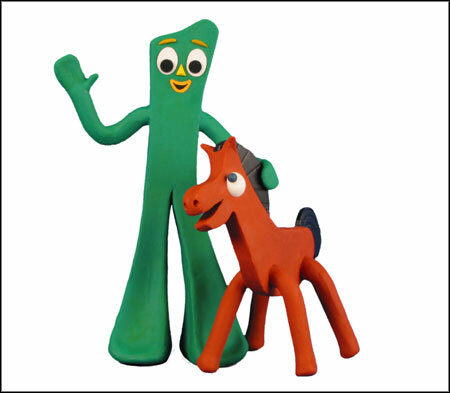 Art Clokey had Dallas voice Gumby and other characters in the Gumby television show starting in 1961. 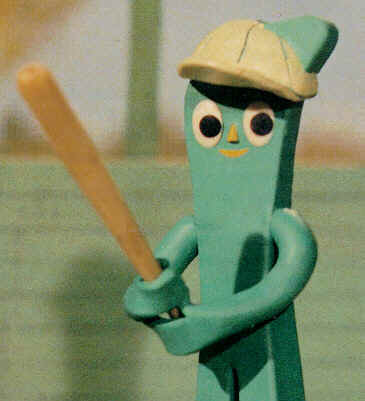 Though not the only voice of the clayboy, Dal returned in future years to do numerous Gumby projects. In 1968, Dallas became Archie Andrews in The Archie Show, as well as Coach Cleats, Hot Dog and Mr. Weatherbee, Riverdale school principal. Dallas had a long-term working relationship with Walt Disney. As one of their voice artists, Disney productions used Dal in movies such as Lady and the Tramp, Sleeping Beauty, One-Hundred and One Dalmations, Winnie-the Pooh and the Honey Tree, Mary Poppins, Jungle Book, Johnny Appleseed, Paul Bunyan, Bedknobs and Broomsticks, and Blackbeard's Ghost. You could briefly see him on screen in Son of Flubber, The Misadventures of Merlin Jones, The Cat From Out Space, and Hot Lead and Cold Feet. His voices were not all credited due to the frequent practice of that time to have all of the vocal artists try for the same character voices. The editors would choose their favorite 'take' for final production but not always give credit to the vocal actor. Those who knew Dallas' voices best were able to tell which ones were him. Because of Dallas' vast vocal abilities, Disney Productions had him record 16 LP's retelling movie stories. 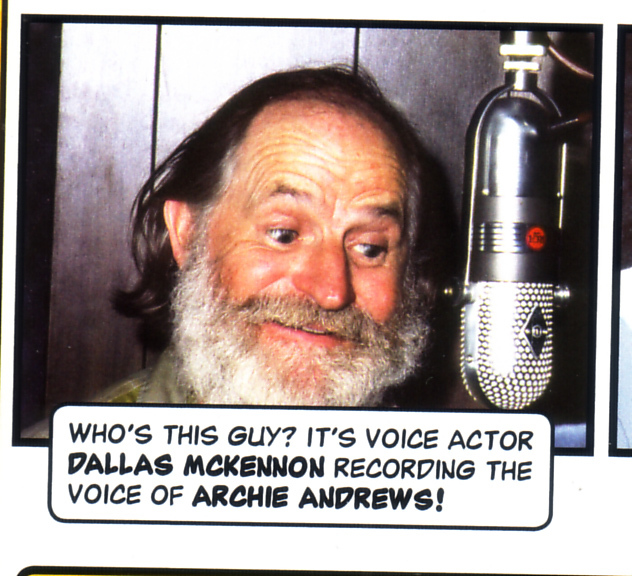 Dallas did many of the character voices on the recordings. His voice was also used in Disneyland and Disney World as Benjamin Franklin in the Hall of Presidents, as Zeke in Country Bear Jamboree, Pirates of the Caribbean, The Haunted Mansion, The Tiki Room, Epcot Center, and you could hear his 'old geezer' voice in The Mine Ride, which later evolved into Thunder Mountain Railroad. Dal's voice occasionally appeared in other movies, also; The Wonderful World of the Brothers Grimm, Tom Thumb, Have Rocket Will Travel, and The Adventures of Mark Twain. Throughout his career, he took acting roles in movies like The Tingler, The Birds, The Wheeler Dealers, Clambake, The 7 Faces of Dr. Lao, The Andersonville Trial, Mystery Mansion, and Frozen Assets. Dallas kept busy with guest roles in TV shows like, Lawman, U.S. Marshall, My Three Sons, The Untouchables, Laramie, Gunsmoke, Ben Casey, Mr. Smith Goes to Washington, The Virginian, The Rifleman, My Favorite Martian, Wagon Train, The Big Valley, Bonanza, The Andy Griffith Show, Cannon, and others, but he is best known for his portrayal of Cinncinatus the storekeeper on the Daniel Boone show. 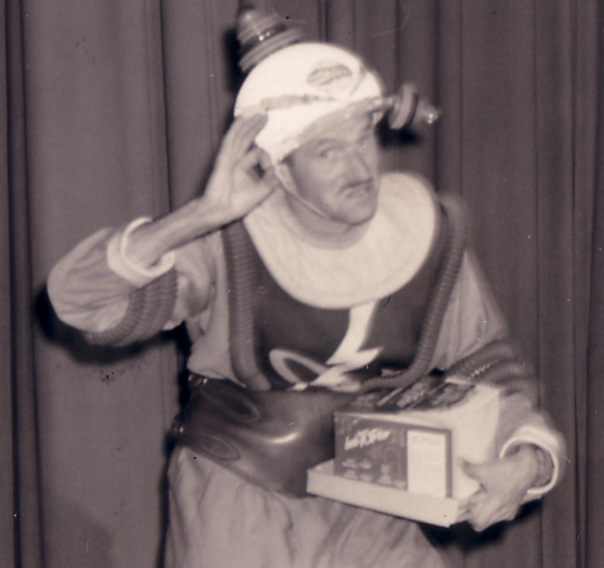 Early Commercials used Dal's voices for Rice Krispies as Snap, Crackle, and Pop, Kelloggs Corn Flakes as a Rooster, in PF Flyers as an announcer, as a Kleenex Sneeze, and as the first Frosted Flakes Tony the Tiger for Radio. He was glad the job quickly went to Thurl Ravenscroft because he discovered the low growl could have damaged his voice. Dallas had discovered that he had a desire to write music and scripts (at age 55) that fit in with these performances, and a new chapter opened up to him, performing musical history. Critters in the Woods (Dal's 1st composition) had been performed on the Daniel Boone show.  After the show stopped production, he wanted to continue the adventures so he wrote Kain-tuck, a musical about the lives of Boonesboro inhabitants. Pieces of the musical were used by Dal as he made personal appearances around the United States. When America planned for its Bi-Centennial, Dallas helped leaders in Portland, Oregon plan a pageant called In God We Trust. American history came alive with characters reliving their experiences, local musicians performed, and Dal was narrator. Original songs about Benjamin Franklin, the Fam'ly Tree, and The Liberty Bell were some of the patriotic tunes created by him for use in the pageant and later projects. Reaching out to school kids in his traveling show audiences, Skinny Bones Jones (an energetic alter-ego of Dal) appeared with his "fanciful facts" to entertain and learn something. Dallas also wanted to share with others his gift of making voices, so he developed a show called Vox Box. In this show, the audience learned how to use their voice in many ways to create dialects and sounds suitable for character roles or for fun. The story of John Chapman became the play Appleseed Man, and was a long performance vehicle for Dallas. The original musical, written for a full cast, was inspirational as well as historical. Dal identified especially with the character Johnny, with his burlap clothes and saucepan hat. Dallas developed a passion for Oregon History when he got involved with the Champoeg Historical Pageant in Champoeg, Oregon. 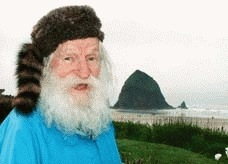 In the early years, Dal helped create, narrate, and perform the story of the birth of Oregon as Joe Meek the Mountain Man.The story of Lewis and Clark was part of that pageant, but later Dal would be a part of other pageants celebrating their history. Wagons Ho was his original musical about the migration to Oregon via the Oregon Trail. Dallas performed the program in schools and on stages in Oregon, Washington, and Idaho. He also told his story aboard the paddle boat The Queen of the West while it cruised the Columbia River. Dallas was a born entertainer and an extremely talented character actor. Whether performing for his small audience at home or for large groups of fans, he was able to uniquely capture the sounds, voices, and personalities everywhere around him. He was spry and lively and almost became a tall tale legend of his own. He touched many lives and had a heart of compassion for others. He was loved by so many and is greatly missed.